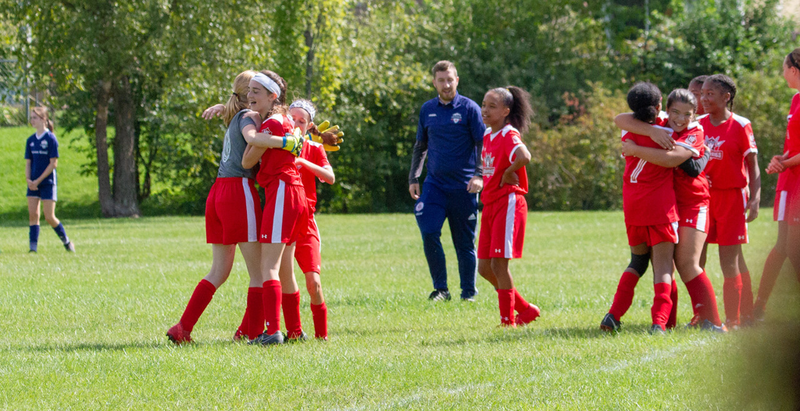 The U14 Valkyries are seen here celebrating their 2018 Fall season opening win against AYSO 300 United with a score of 2-1. Hard-work during pre-season training by returning and new players alike is paying off! Keep up the great work Valkyries!